Select a structure from Cee’s Fun Foto Challenge: Houses. Great bird house!!! Thanks for playing along! 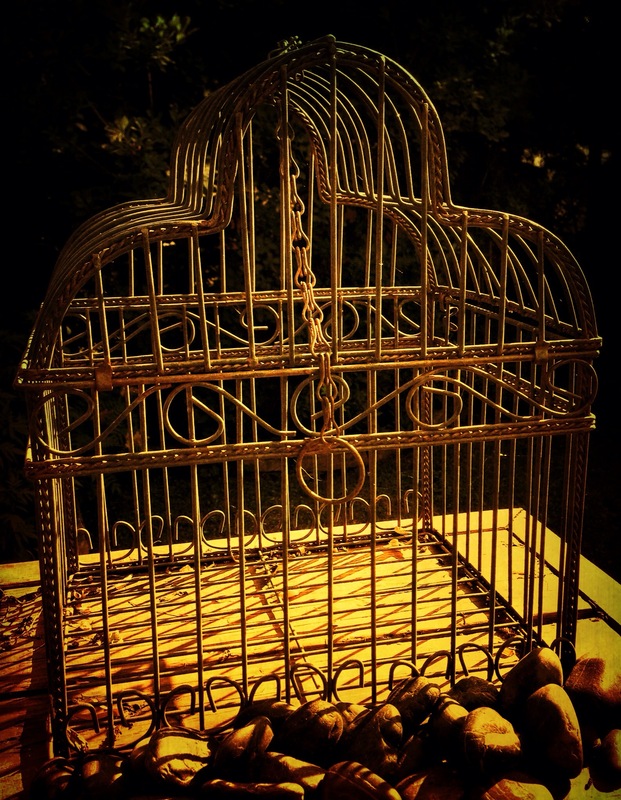 What a gorgeous bird cage–especially in that lighting, wow. It was hiding under a bunch of bushes when we first moved in – way to interesting to not be on display! Oh I agree–I was going to guess it was in that mysterious treasure-trove garage of yours!